If you’ve ever dabbled in writing stories and done even a tiny bit of research the name Joseph Campbell is bound to pop up early in your search. Best known for his work in comparative mythology and comparative religion Mr. Campbell is ubiquitous with modern storytelling and writing and his work covers many aspects of the human experience including even the most recent Star Wars movie coming out soon. 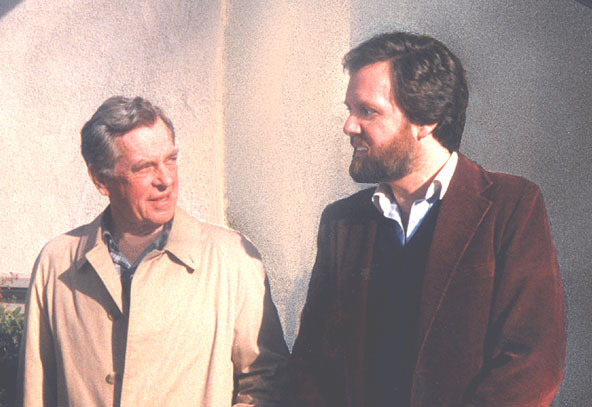 “From the Star Wars trilogy to the Grateful Dead,” says the Joseph Campbell Foundation, “Joseph Campbell has had a profound impact on our culture, our beliefs, and the way we view ourselves and the world.” This collection, The Lectures of Joseph Campbell, which comes from early in his career, offers “a glimpse into one of the great minds of our time, drawing together his most wide-ranging and insightful talks” in the role of both “a scholar and a master storyteller.” So not only can Campbell enrich our understanding of all the stories we love, he can spin his lifetime of mythological research into teachings that, in the telling, weave into a pretty gripping yarn in and of themselves. Well now you can listen to a large collection of almost 48 hours of lectures via a playlist on Spotify that Mr. Campbell did over the years which covers a large part of his teachings thanks to Open Culture. Tagged Joseph Campbell, Screen writing, Writer, Writing.